Lillian Wald Award has been developed to honor a nurse who has provided exemplary public health nursing practice on behalf of the public in the state of Iowa. Nominees must have demonstrated initiative and resourcefulness in developing efforts to improve the health of the public through political, legislative, professional or interdisciplinary activism. Achievements should represent a leadership role in one or more of the following arenas: promoting social reform activities for client groups, influencing health policy and health laws, collaborating with physicians, legislators and public officials or strengthening public health nursing practice. The Iowa legislative session lasts about 100 days each year (mid January until end of April) and over the last 10 years, Teri has been instrumental in monitoring and influencing Iowa school nursing and school health legislation by conducting daily scans of the Iowa legislative web site looking for new bills and/or changes to current bills or previously passed legislation. 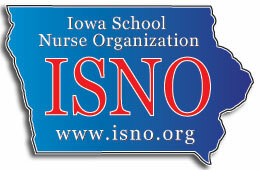 In addition to monitoring legislation, Teri actively communicates with numerous legislators, advocates for school nurses and students, and last but not least, articulates the reality and current role of Iowa school nurses. Teri's commitment and diligence to monitor Iowa legislation cannot be quantified in terms of hours or work and she is very deserving of the 2019 Lillian Wald Award from the Iowa Public Health Association. Congratulations Teri! !